Thanksgiving dinner is good and over with. Many of you are waking up to a leftover turkey sandwich for breakfast. 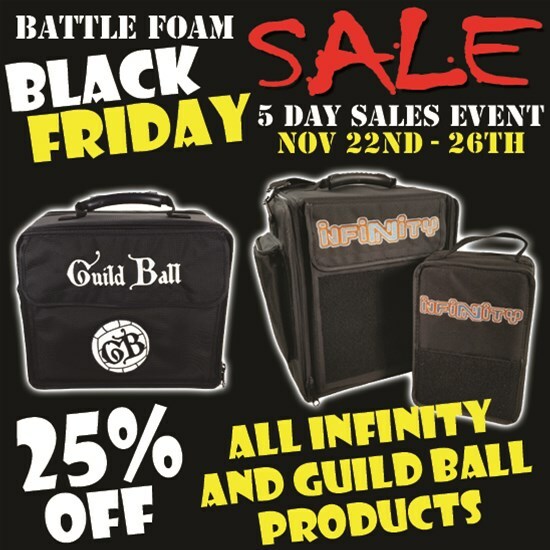 Well, while you munch on that, why not head over to Battle Foam and get some Black Friday savings on their custom carrying cases? 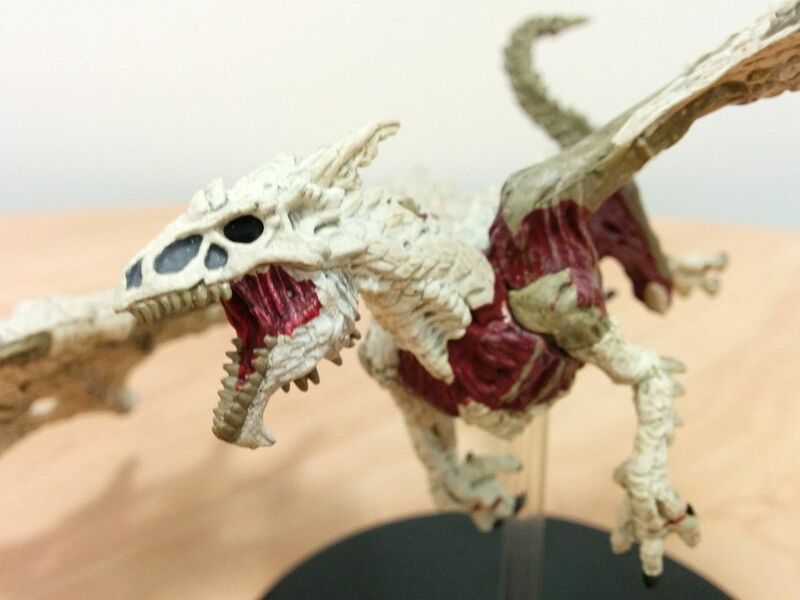 You spend a lot of time and effort assembling and painting your minis, you want them to look amazing when they get to the gaming table. Get them there in style with a Battle Foam bag. It’s that time of year again. Time to save hundreds of dollars on Christmas presents for your friends, family, or just yourself. Everyone knows that storage for your miniatures should be a must have on all shopping lists. Shop early because many of these items will sell out fast, especially our new LE Bags! Also check our social media accounts for more surprises throughout the sale. 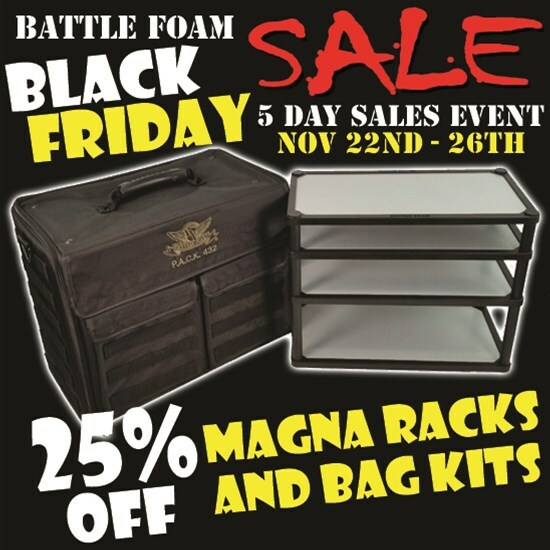 Save on the latest foam trays, box sets, Magna Racks, P.A.C.K. bags, Private Label storage, and our limited edition 720s. Not only will you be saving on everything store wide but you will have a chance to get your hands on two super cool 720s that are limited to just 200 of each color. The bags will be individually numbered 001/200 so order early before we sell out. 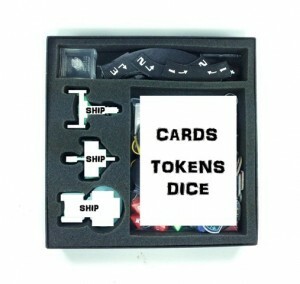 Head over to www.battlefoam.com and start shopping for the coolest storage solution for your valuable miniatures. Battle Foam, Protecting Your Army! Ok, everyone, we're progressing along at a nice, steady pace through the week. We can keep this up. We can manage to continue this direction and speed and the weekend will be here before we know it. But we should stock up on energy. A great way to do that is via some bite-sized gaming stories. Good thing that's just what we have for you now. Today's snippets include: New Tokens and Scoreboard Available From Advanced Deployment, Guild Ball Bag Standard Load Out Available From Battle Foam, Rebel Minis Releases 28mm Unarmed Civilians, Brigade Models Release New 15mm vehicles, Bombshell Miniatures launches KritterKins Kickstarter, Final Days For The Vampire, the Elf and the Cthulhu On Kickstarter, and Last three days for 25% off with intro deal At EZPainter. As we hunker down here for what could potentially be the first major winter weather event here in Atlanta (in which the temperatures are supposed to be above freezing, except for an hour or so, I'm not really expecting much of an issue here. Though the Northeast looks like it needs to brace itself), we think about what we could be doing with all that potential time spent huddled in our homes, unable to go out. So how about some gaming! Seems like a perfect time. So we've gathered together some bite-sized gaming stories for you to snack on. 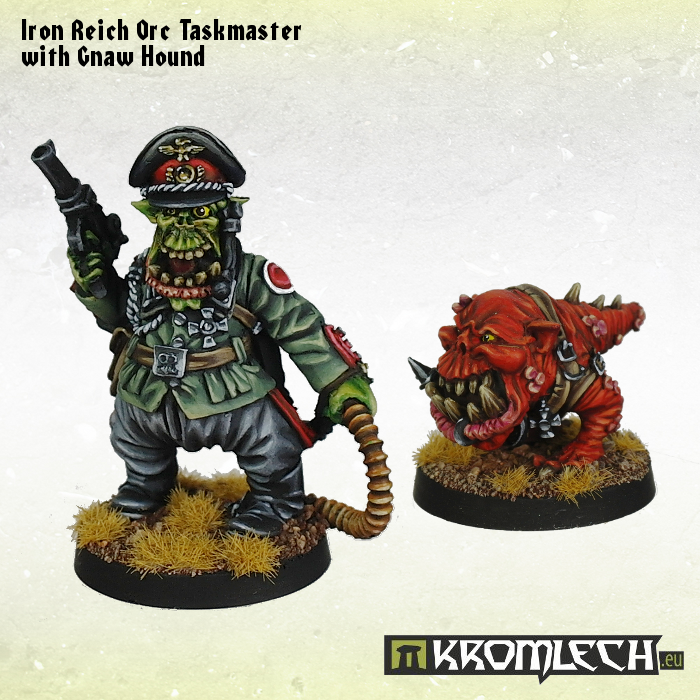 Today's stories include: Prime Battlewalker Arms Available From Puppets War, House of Borgia Coming to Kickstarter, Blood Rage Foam Trays Available From Battle Foam, New Iron Reich Orc Taskmaster with Gnaw Hound Available From Kromlech, and New Biomechanic Heads Available From Tabletop-Art. A lot of you will be hopefully getting minis this holiday season. I know I've had quite a few holidays where there were minis gifted to me. Those minis gotta be transported around properly. 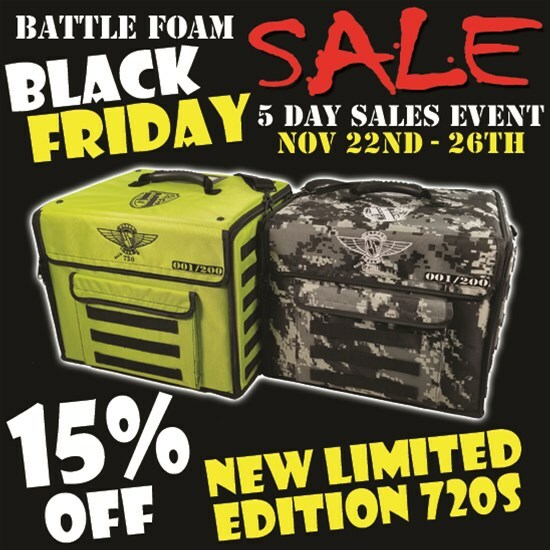 Battle Foam is here to help with that, and they're having their own Black Friday sale. Privateer Press has their Lock & Load Gamefest coming up this weekend. So perhaps those of you not going to Origins will instead be there. If you are, I'm sure you'll get to see these figures in their display case, but for the rest of us, we'll just have to settle for studio photos. But hey, nothing wrong with studio photos of upcoming figures. So let's take ourselves a look. 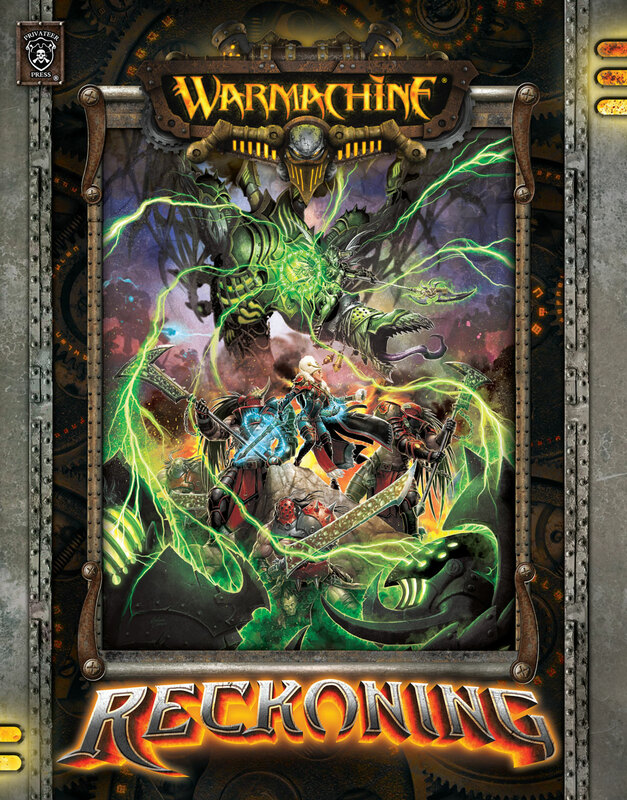 There's some Warmachine, some Hordes, and some new carrying cases to see. 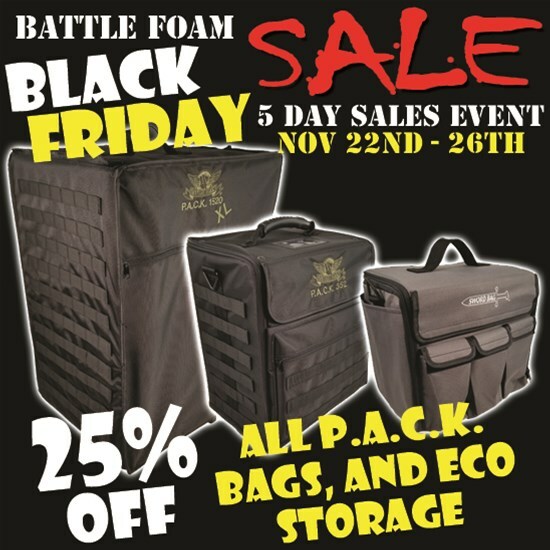 Battle Foam is another of the companies having a big sale this weekend on their website. 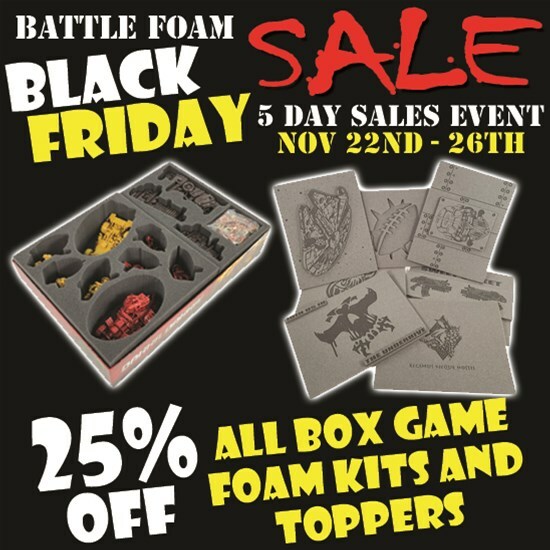 Battle Foam will have a 4-Day sale running from November 28 through December 1 MST, products will be discounted from 20% off, up to 60% off. 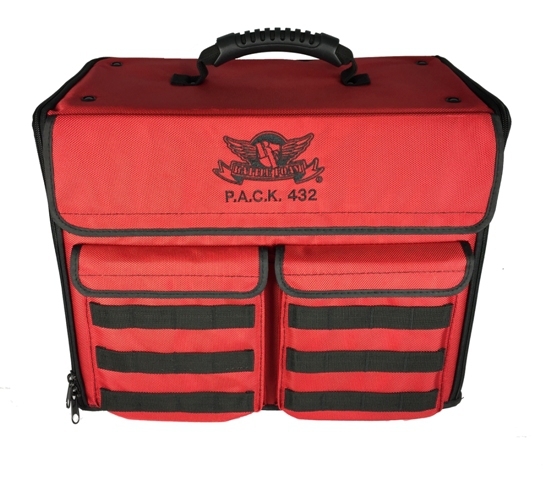 Battle Foam helps keep your Space Hulk set organized and protected with their new transport bag designed specifically for it. 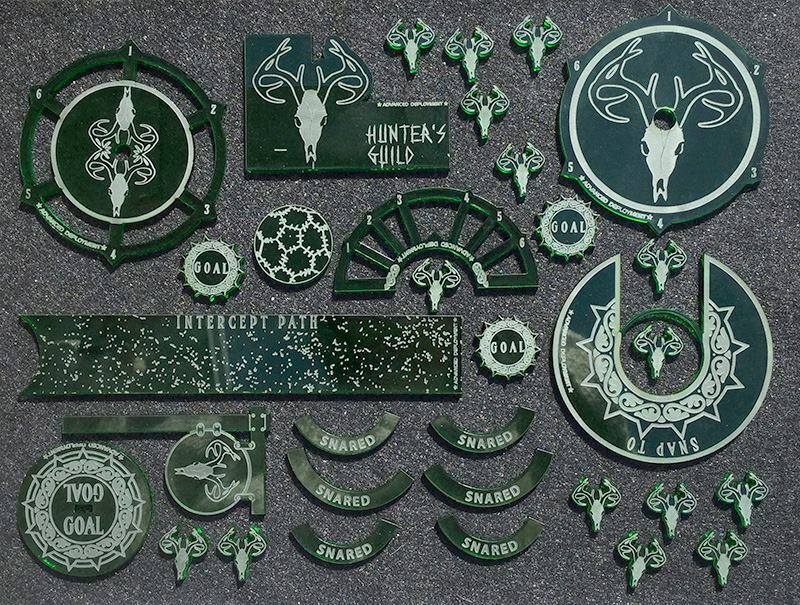 This load out option comes fully loaded with pre-designed foam trays that fit game pieces from the Space Hulk 2014 board game. 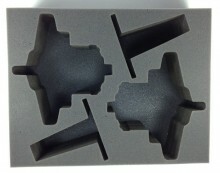 Battle Foam has a pair of new foam trays designed to hold your cards for X-Wing. 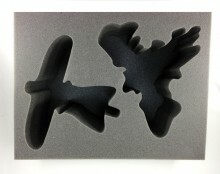 Battle Foam keeps your fleet safe between dogfights with some new custom foam trays for the latest X-Wing releases. 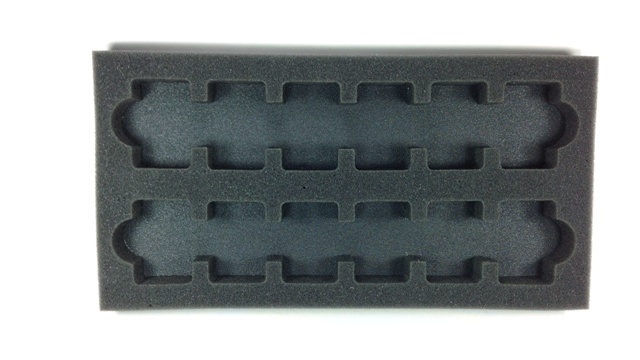 Battle Foam has several new custom foam trays to help get your Wild West Exodus minis to their destination in tip-top condition. 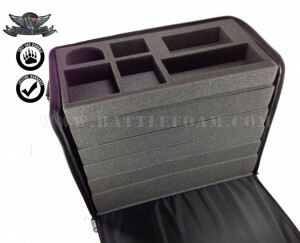 Battle Foam has custom trays available in 3 new sizes available over in their webshop. 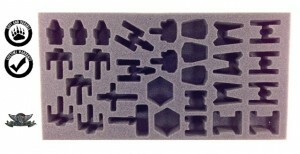 Battle Foam has a new bundle to keep your Infinity miniatures nice and safe. 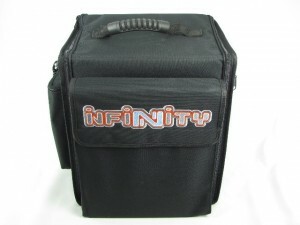 Save $15.00 when you purchase the Infinity Bag Bundle! This bundle comes with 1x Infinity Alpha Bag with the foam load out of your choice and 1x Infinity Beta Bag with the foam load out of your choice. 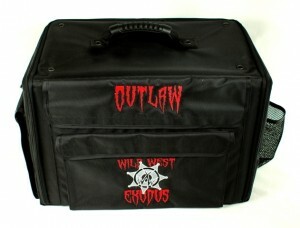 Battle Foam has some new Wild West Exodus bags available to help make sure your minis make it to the tabletop in pristine condition. 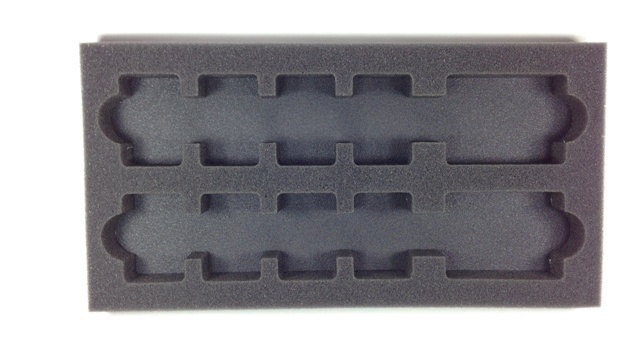 Battle Foam lets you carry around your ships in safety with their new Star Trek foam trays. Scottie would be happy with you. 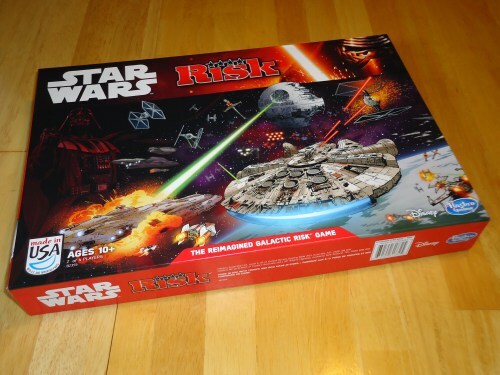 In this kit, you receive one tray and one topper that fits the complete contents of the original Star Trek Game. No extra ships will fit in this foam kit. This kit fits perfectly in the orginial cardboard box for the game. Battle Foam keeps up with the current releases from GW with several new foam trays specifically designed for the new Space Marine releases. 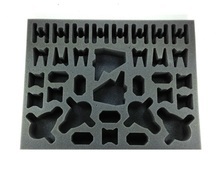 Battle Foam helps keep your mini ships safe with their Wave 3 foam trays for the X-Wing Miniatures Game. 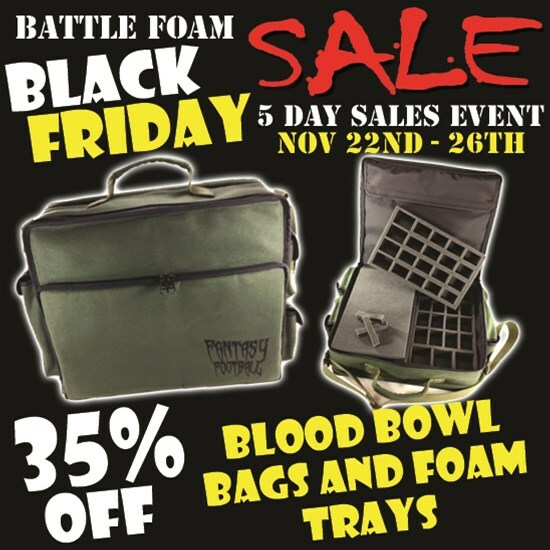 Battle Foam has announced that they'll be having a 4th of July sale over on their website. Hey All! We are happy to announce Battle Foam's first ever 4th of July Sale! Head over to our website to receive 20% off just about anything from our website. The sale starts at midnight on the 4th and ends Sunday the 7th. The sale works for both US and UK warehouses. Enjoy! 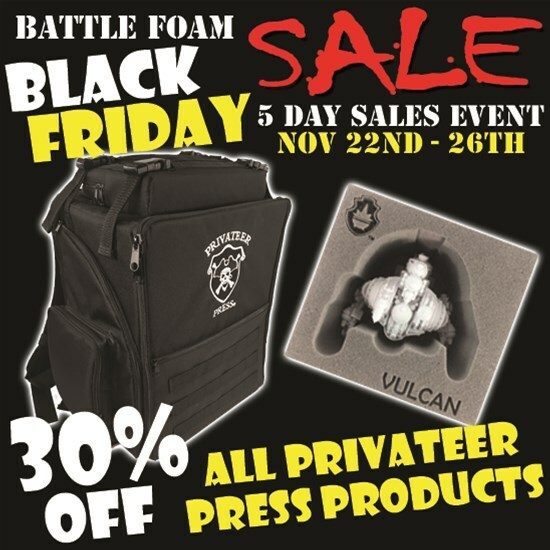 Battle Foam has new P.A.C.K. 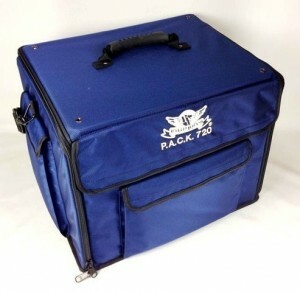 720 bags available in two new colors (red and blue) over on their website. 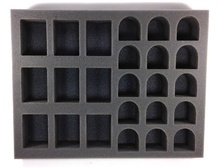 Battle Foam has new foam trays available for the new High Elves as well as Eldar releases from Games Workshop. 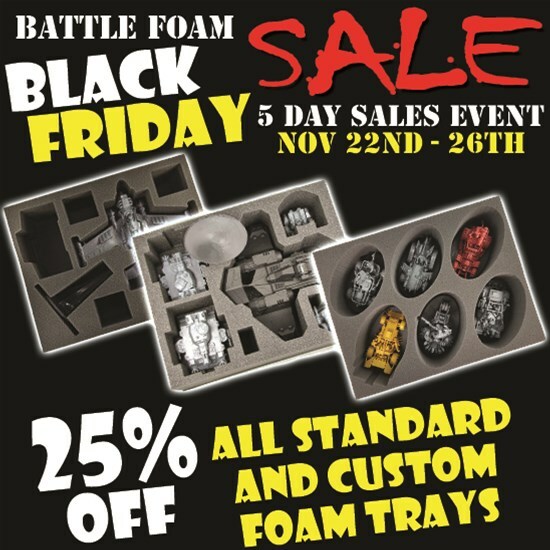 Battle Foam has new trays specifically designed to hold the new Tau releases from Games Workshop.